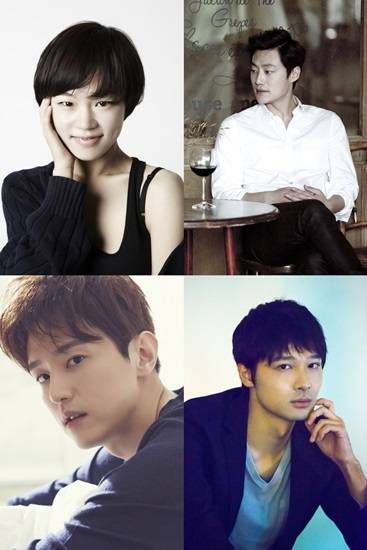 Han Ye-ri, Ryo Iwase, Lee Hee-joon and Kwon Yool will star in movie "Worst Woman". On September 10th, IndieStory said, "Movie "Worst Woman" starring Han Ye-ri, Ryo Iwase, Lee Hee-joon and Kwon has begun filming today". In "Worst Woman", a woman, who changes her personality and her look each time she meets a new man. The story depicts romantic happenings occurring when she happens to meet three men in one day. Director Kim Jong-kwan of 'Come, Closer' and 'Manuals for Polaroid' will direct this movie. Han Ye-ri will play Eun-hee, who can turn into a different character as if she would act on a stage. Ryo Iwase, whose face is known to Korean audience for his role in 'A Midsummer's Fantasia', will appear as a handsome Japanese novelist. A pure-hearted divorced single man Woon-cheol, a café owner will be played by Lee Hee-joon. Kwon Yool has been cast for the role as Hyeon-oh, a rookie actor, who becomes childish in front of someone he loves. "Worst Woman" is slated to be released next year.